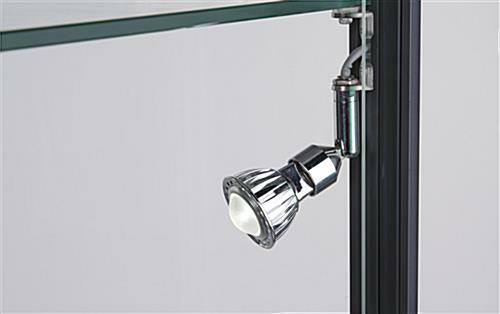 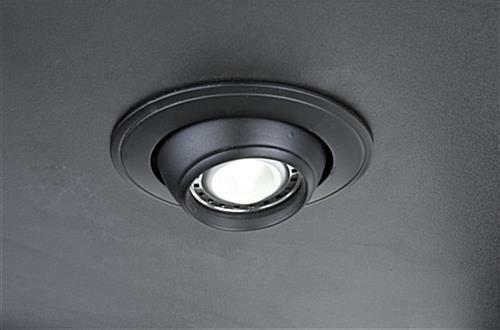 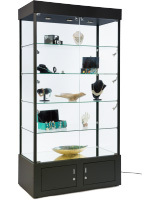 These 48” wide illuminated showcases come with 3 lights embedded into the upper canopy of the curios and 4 adjustable side lights for bright cabinets. 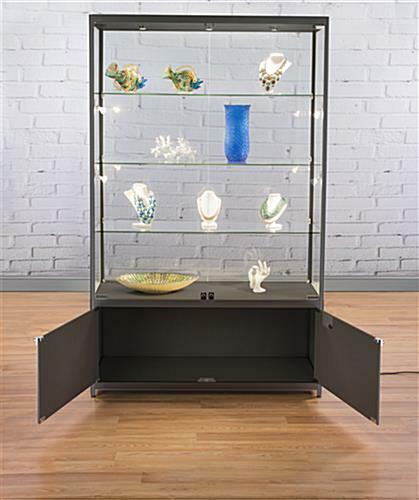 The large hidden storage in the base is ideal for keeping boxes for items on display or even actual merchandise if a sample is on display. 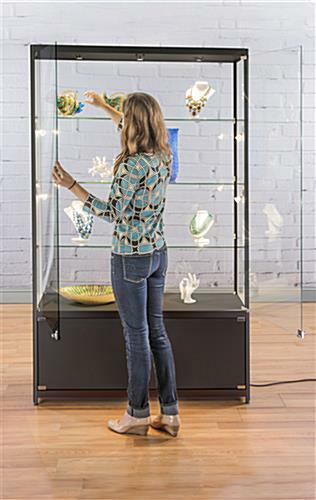 The illuminated showcases with fixed glass shelves have 14” of clearance between them for the ability to place taller items if needed. 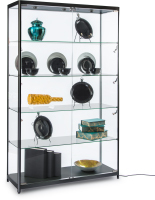 The curios are 78” tall and have levelers in each foot to help stabilize the cabinets if they are placed on uneven floors. 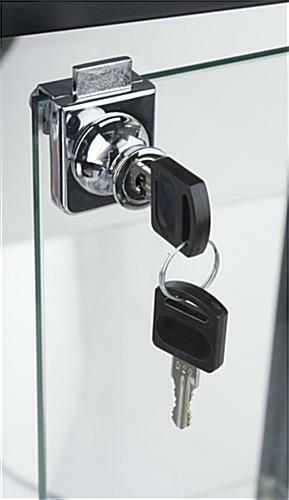 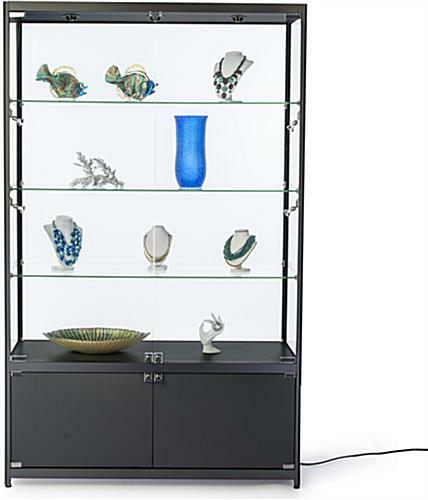 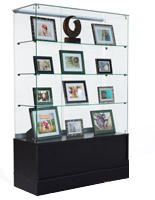 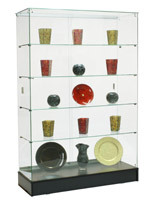 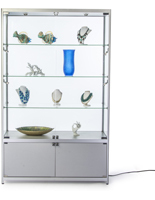 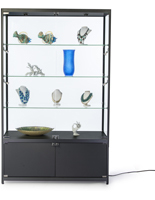 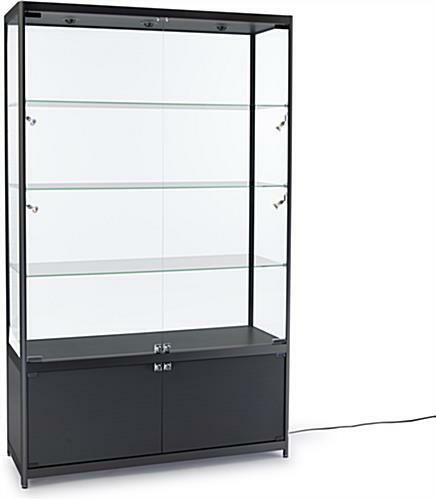 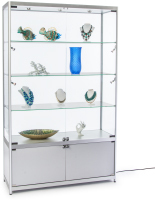 The showcases have secure display areas to protect items on the glass shelves. 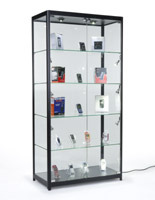 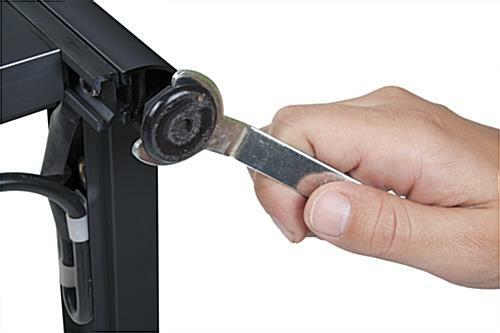 The large cases ship to customers fully assembled to save time and hassle of putting them together.